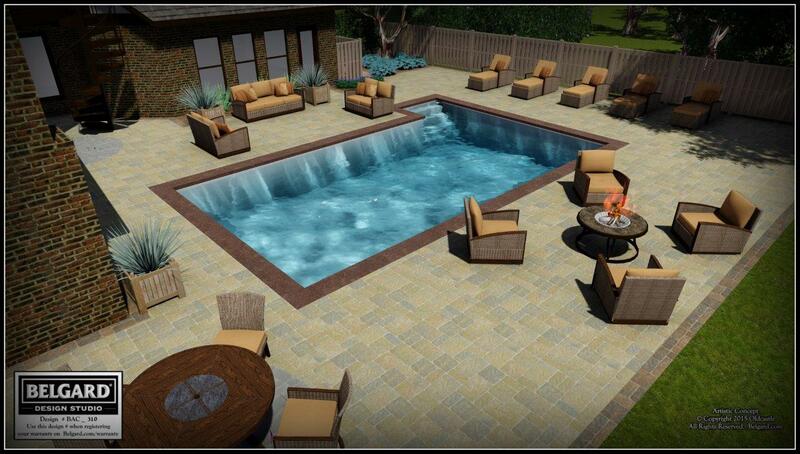 Pavers can add style and class to any back patio. Installing them can be a bit tricky on your own. If you have any hesitation, you should contact a professional landscaping company to properly install your pavers. Here is a brief basic guide on how to install pavers in your yard. Clear the area of any foliage, plants, grass, or weeds with a shovel. You will want the area to be about 6” larger than the actual finished size you desire. You will need landscape fabric to lay down over the dirt that you excavated. Install the paver base and use a compacter to finish it with a thickness of about 4’’ for walkways and patios. Each base should be installed incrementally. Make sure the soil is firmly compacted before moving on. Lay out a paper on the base and begin to move the sand carefully over the base. You need the sand to be completely level. This is an edge that you will place around the entire area. You will want to leave about 3’’ from the end of the compacted soil. Lay the paver stones in the pattern you want leaving about 1/8’’ in the joints. You can make your pattern as complicated or simple as you want. Use the compactor again at least 2 more times. Then spread sand on the installation and spread it into the joints between the paver stones. Make sure the sand has filled the joints entirely. If you need assistance with installing pavers, Blooms Landcare is an experienced company with licensed contractors prepared to help you create your dream landscaping. Give us a call today at (817) 688-5352.